Are R&D Systems recombinant proteins and antibodies sterile? Although the vials are bottled using aseptic techniques, heat-treated vials, and sterile stock solutions, they are not considered or guaranteed to be sterile. If sterile material is needed for an experiment, the material can be filtered through a 0.2 micron filter designed for use with biological fluids. Can R&D Systems recombinant and natural proteins or antibodies be used for in vivo experiments? R&D Systems does not perform any in vivo testing. Therefore, the activity and half-life in these applications are uncertain. References for in vivo use may be found by clicking on the "Citations" tab on the product specific web page. We recommend using the carrier-free forms of proteins for in vivo experiments and Technical Service can provide lot-specifc endotoxin levels upon request. Can this protein be used in an application other than the one listed on the datasheet? The bioassay listed on the protein datasheets describes the method R&D Systems uses to QC the protein. There are many other potential ways to use each protein. We maintain a database of references citing the use of products in other applications or with different cell types. Please click the Citations tab on the product-specific web page or contact Technical Service for more information. Does R&D Systems have biotinylated proteins? R&D Systems offers an expanding line of biotinylated proteins. These are easily identified on the Product Search Page (https://www.rndsystems.com/products) by filtering Category on proteins and Conjugate on biotin.Additionally, Fluorokine® Kits (http://www.rndsystems.com/product_detail_objectname_fluorokine_receptor_detection_kits.aspx)for the detection of cell surface receptors by flow cytometry are available. These kits contain a biotinylated protein of interest and other reagents which are employed to quantitatively determine the percentage of cells bearing cytokine receptors within a population, and to estimate the receptor density on cell surfaces.Please inquire if you are unable to find the protein of interest. Does R&D Systems include a small overfill in vials? In most cases, there is a 1% overfill included to account for any potential variability in the bottling process. R&D Systems lists the molecular weight of our proteins in kDa on the datasheets. The approximate conversion to molar mass is 1 Dalton = 1 gram/mol. For instance, an 8 kDa protein would be 8000 grams/mol. I received a lyophilized product at room temperature but the product label and datasheet indicate that it is to be stored at -20 ºC. Is this an error? Will product activity be compromised? The product is shipped at ambient temperature by design and will not be compromised. Lyophilization increases product stability, while reducing packing materials and shipping expense. We have performed “stress tests” on our lyophilized products. These products are subjected to 37º C for 3 days in a humidified chamber and found to be stable. These data demonstrate that lyophilized products shipped ambient and received with in a 3 day window retain full activity. We will guarantee and support the product performance when delivered and properly stored within this timeframe. If the product was not delivered within 3 days to your facility or was not stored properly upon receipt, please contact Technical Service. Is an Fc chimera an antibody? No, an Fc chimera is a recombinant protein, not an antibody. A recombinant protein may be fused to the Fc region of IgG for multiple reasons. It can be used for purification, for detecting the protein with an anti-IgG antibody in a binding assay, or to encourage the formation of disulfide-linked homodimers which increases the bioactivity of some recombinant proteins. Is carrier free recombinant protein recommended for use as a positive control on a Western blot? Yes, we recommend the carrier free protein without the BSA for this purpose. The presence of 50 μg of BSA to 1 μg of recombinant protein may affect the migration of the recombinant protein in SDS PAGE and may also mask recombinant protein bands on a membrane pre-stained with a protein visualization dye such as Ponceau S. Keep in mind that due to the expression system used and the addition of tags or other modifications to the recombinant protein, it may not migrate at the predicted molecular weight of the native molecule in natural samples. The vial is supposed to contain lyophilized protein but it appears to be empty. Is there anything in it? Pellets can be dislodged during shipping and become disbursed on the vial wall and in the cap. Centrifuge or tap the vial on the benchtop to return this material to the vial bottom. If this does not reveal a pellet, closely inspect the cone of the vial. Some pellets appear as only a tiny amount of material or as a transparent film due to the original buffer formulation. This is a normal appearance for many proteins. For example, if the product is originally lyophilized from a solvent such as acetonitrile or ethanol, and supplied carrier-free, you may not be able to detect the pellet with the naked eye. This does not mean the vial is empty. Reconstitute the vial as directed. After reconstitution, protein concentration can be tested with a spectrophotometer. What are the benefits of using Sf-21 cells for protein expression? Sf-21 cells are from Spodoptera frugiperda (fall army worm). Sf-21 cells are able to incorporate many post-translational modifications including glycosylation and phosphorylation, although not to the same degree as mammalian cells. What grade BSA is used for the reconstitution of R&D Systems proteins? R&D Systems uses a Probumin® Media Grade BSA (Millipore; Catalog # 81-068) for protein reconstitution. It is recommended that customers use the same or equivalent. What is the expiration of R&D Systems proteins and antibodies? 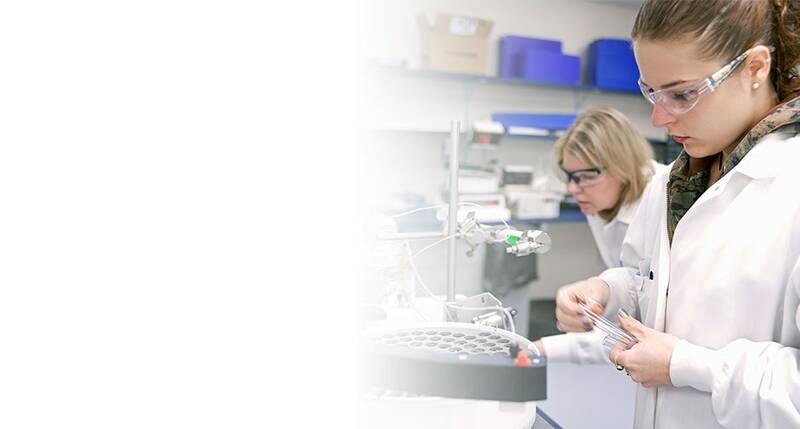 R&D Systems has established a policy of not limiting the useful life of a product by providing an expiration date or manufacture date for our protein and antibody products. Under proper storage conditions, proteins and antibodies tend to be stable for many years. These conditions include storing proteins as lyophilized powder, storing the product frozen (-20° C or -80° C) at protein concentrations of greater than 0.1 mg/mL, and limiting the number of freeze/thaw cycles. Please see individual product datasheets for specific instructions. Routine quality control testing by our company ensures that all products have acceptable biological activities at the time of sale. R&D Systems can not control storage conditions of a product upon receipt by the end user. In lieu of an expiration date, we choose to offer a warranty on our protein and antibody products. All products supplied by R&D Systems are warranted to meet or exceed our published specification when used under normal conditions in your laboratory.Typically, this warranty will extend 6-12 months from time of purchase. Please see individual datasheets for specific stability claims. If the product fails during the stated period, a replacement product or credit will be issued. For details regarding our warranty please see http://www.rndsystems.com/customer_service_legal.aspx. What is the half-life of a recombinant or natural protein in culture at 37 °C? R&D Systems does not determine the half-life of recombinant or natural proteins in culture. For the majority of bioassays, the incubation period of cells with the protein is between 48 and 72 hours. However, this does not mean the protein is active for the entire incubation period. In some bioassays, the effect takes 48 to 72 hours to be observed. Incubation times for each protein will need to be optimized by each researcher. What is the recommended method for reconstitution of a lyophilized protein or antibody? Unless more specific directions are on the Certificate of Analysis provided with the product, we suggest the following procedure to ensure optimal recovery: 1. Allow the vial and reconstitution buffer to equilibrate to room temperature. 2. Briefly centrifuge the vial to ensure that all lyophiliate is collected at the bottom of the vial. 3. Add the amount of buffer required to achieve the concentration recommended on the product insert. 4. Allow the vial to reconstitute for 15-30 minutes at room temperature with gentle agitation, like on a rocker platform or rotating by hand. Avoid vigorous shaking that can cause foaming and protein denaturation. 5. Aliquot into volumes greater than 20 μL and store as indicated on the product insert. If the vial exhibits flakes or particulates, mix the product for a couple of hours at room temperature and then at 4oC overnight. Contact Technical Service if product does not go into solution. What volume of buffer is recommended to reconstitute R&D Systems' lyophilized proteins or antibodies? The product datasheet and Certificates of Analysis for lyophilized proteins and antibodies will indicate the recommended reconstitution concentration. Concentration = mass/volume. Calculate the target volume by dividing mass by concentration after making certain the mass units match. For example, a 100 μg vial of an antibody may need to be reconstituted at 0.5 mg/mL. 0.5 mg/mL = 500 μg/mL. 100 μg / (500 μg/1 mL) = 0.2 mL, so 0.2 mL (200 μL) of volume would be needed for reconstitution at this concentration. Alternatively, use the Molarity and Reconstitution Calculators found under the Resources tab on R&D Systems' website. What does the /CF suffix seen in some catalog numbers mean? CF stands for "carrier free." Typically our recombinant proteins are bottled with 50 μg of BSA (carrier protein) per 1 μg of proteinin order to enhance stability. The carrier-free version does not contain BSA. Usually proteins with BSA can be stored at a more dilute concentration than the carrier-free counterpart, and they may have a longer shelf-life. Generally one will want to purchase the version with BSA when adding the proteins to culture medium or for ELISA standards. Some situations where carrier-free proteins might be used would be in in vivo applications, when labeling proteins, or for other applications where the BSA might interfere with the experiment. Why are some of R&D Systems recombinant proteins offered as an Fc chimera? Some R&D Systems proteins are expressed as chimeras fused to the Fc fragment of an IgG antibody. This can offer advantages for certain proteins. For instance, the Fc portion might stabilize the molecule. In addition, biologically active dimeric proteins can be created by using the natural tendency of the Fc portion to dimerize. Receptor-Fc fusions can also result in a recombinant receptor with higher affinity for its ligand compared to the soluble receptor alone. R&D Systems offers the same recombinant Fc portion separately for use as a control (Recombinant Human IgG Fc; Catalog # 110-HG or Recombinant Mouse IgG2A Fc; Catalog # 4460-MG). Why do some of R&D Systems proteins require reconstitution in an acidic buffer? Will this buffer hurt the cells? Proteins should always be reconstituted and stored with the buffer recommended on the datasheet. Some proteins are extremely hydrophobic at neutral pH. If the suggested buffer is not used to reconstitute these proteins, they do not go fully into solution and much of the material may cling to the sides of the vial. When the protein is used for an assay, it can be diluted to working concentration with media or another suitable buffer which will neutralize the small amount of acid and make it safe to use with live cells. Why should I reconstitute the protein in PBS/BSA if it is lyophilized from the same solution? The additional BSA in the reconstitution buffer will aid in the recovery and stability of the protein. The volume of PBS in which the product is lyophilized is generally very small. Therefore, PBS reconstitution does not significantly increase the salt concentration when reconstituted according to the datasheet. The presence of additional salt in the stock does not interfere in an assay when diluted to the working concentration. Please contact Technical Service if the volume of PBS prior to lyophilization is a concern. Because products are Quality Control tested in the manner stated on the datasheet, R&D Systems cannot guarantee the performance of products not reconstituted as described. Will trehalose affect my conjugation reaction? It is possible that the presence of trehalose will interfere in the successful conjugation of a protein. This will depend on the method used, and the customer should investigate this potential prior to purchasing the product. Will trehalose affect the performance of the protein or antibody in my specific application? We have seen no adverse effect in our bioassays or other approved applications. However, customers are advised to run a control in their assay to determine if the concentration of trehalose in the protein or antibody formulation has any adverse effects. How can I convert your product to international units? How is the isoelectric point (pI) of a protein calculated? The isoelectric point is the pH at which a protein has no net electrical charge. R&D Systems calculates pI using amino acid analysis. What is trehalose and why is it in the formulation? Trehalose is a non-reducing sugar and does not react with amino acids or proteins as part of the Maillard reaction. It is found in nature in many plants and animals. Trehalose is an effective sugar for stabilizing proteins against damage caused by freezing. It can also make the protein more resistant to moisture when lyophilized, resulting in a product that is less likely to precipitate when reconstituted. Will trehalose included in the formulation affect the animal if it is injected? Trehalose is unlikely to have an effect in vivo. It has been approved as an excipient for use in human injectable drugs.The trehalose used by R&D Systems is derived from Saccharomyces cerevisiae and is determined to be at minimum 98.5% pure by HPAE. How are ProDots products Quality Control tested? The ProDots products are Quality Control tested for bioactivity in the same manner as the identical protein sold in larger pack sizes. The protein concentration is measured before vials are lyophilized. After lyophilization, one or more vials are tested for activity and the protein is run on SDS-PAGE to confirm identity. What are the glycosylation differences between recombinant proteins produced in E. coli, Sf-21, and NS0 or CHO cells? E. coli-derived proteins are not glycosylated. Sf-21 cells are able to partially glycosylate proteins on N-linked sites with 3-9 mannose residues. They do not incorporate galactose or sialic acid, so there is no branching of sugars. Glycosylation on O-linked sites in proteins derived from Sf-21 cells is sporadic. Both NS0 and CHO cells are capable of fully glycosylating N-linked and O-linked glycosylation sites with branching sugars.